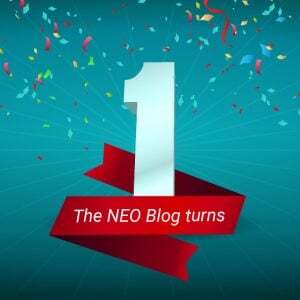 The NEO Blog recently celebrated its 1 Year Anniversary. The blog is known for providing useful articles and tips about EdTech, e-learning, learning management systems, and the latest technology trends. The NEO Blog Is 1 Year Old! During this year, the NEO Blog has delivered more than 60 insightful posts on different topics that people working or interested in e-learning can relate to. The entire mission of the blog is to deliver useful posts that help readers with their daily and future e-learning activities and encourage them to engage in meaningful conversations around these topics. The NEO Blog is different from other similar blogs because it addresses real challenges that actually happen in schools and provides ideas on how readers can use technology to improve classroom activities. The blog has posts for everyone, whether you’re a teacher, school administrator, student, or you’re just passionate about e-learning. Behind the NEO Blog there is a dedicated team of professionals that draws from their own experiences and passions when writing. Can Pokemon Go be part of the classroom? Visit the blog to see a full list of the most popular posts in 2016. The blog was created by the NEO LMS team. NEO is a learning management system for schools and universities that is known for its intuitive user interface, innovative feature set, and strong return on investment. NEO offers a centralized environment for creating classes, assigning and submitting homework, taking assessments, collaborating with classmates, and analyzing results. NEO is a world class, award winning LMS for use by schools and universities that makes it easy to create great classes that student will enjoy anytime, everywhere. Combining knowledge gained from years of experience working with schools, districts, and universities, NEO provides a complete solution that incorporates all the tools educators and students need in their activities. NEO is a product of CYPHER LEARNING, a company that specializes in providing e-learning platforms for organizations around the world.